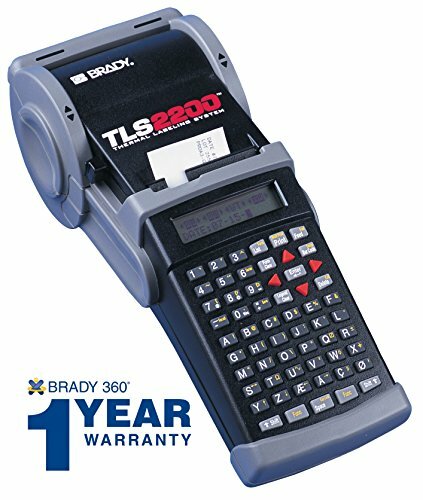 The Brady TLS2200 Portable Label Printer prints via thermal transfer at 203 dots per inch (dpi) from 4 to 72 point, on materials up to 2” wide with print length up to 54", has an LCD display, and uses a simple ABC keyboard. 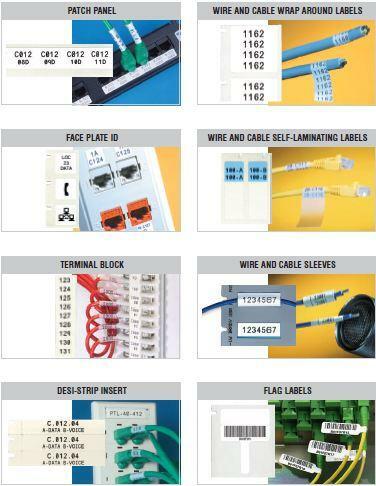 For use in identifying a variety of items, from cables to equipment, this label printer has an ABC keyboard and prints single- or multi-line on over 140 label materials up to 2” wide and print lengths up to 54” long, in TrueType fonts. 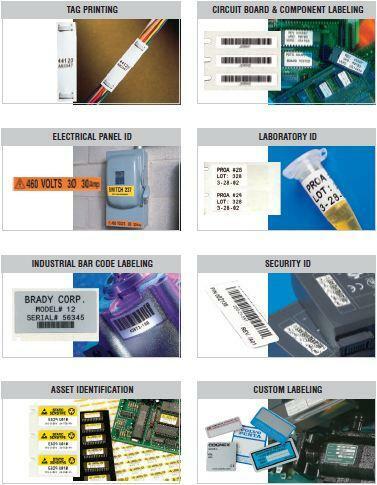 Use the TLS2200 to create die-cut, barcode, and continuous tape labels with 203 dpi for clear, crisp printing. The thermal transfer printing method stays bright and lasts longer than direct thermal printing. The quick loading cartridge makes switching jobs faster than other label printers; the label printer automatically senses the cartridge label type and size. Labeler can hold a continuous roll up to 50’ long. The memory feature stores up to 10 setups. Labeler is light-weight: 2.75 lbs (1.25 kg) for portability. The label printer runs on the rechargeable battery or optional AC power. Printer has sleep mode to conserve battery; set the printer to sleep after 1, 3, or 5 minutes of nonuse.